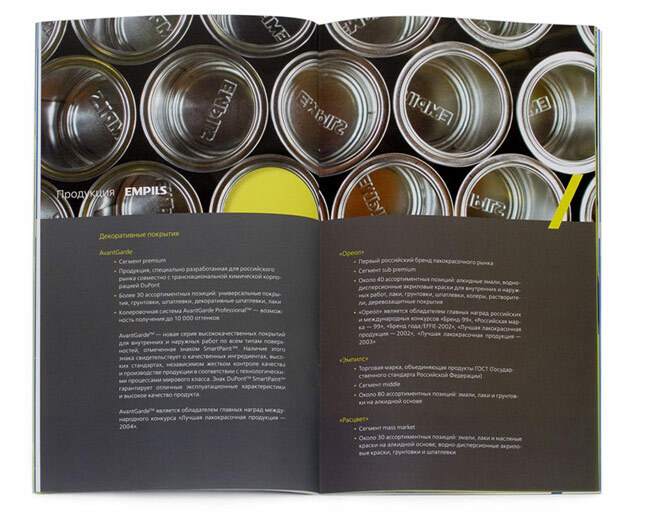 Problem: Create a presentation booklet in Russian and English for Empils, a Russian paint and varnishes producer. 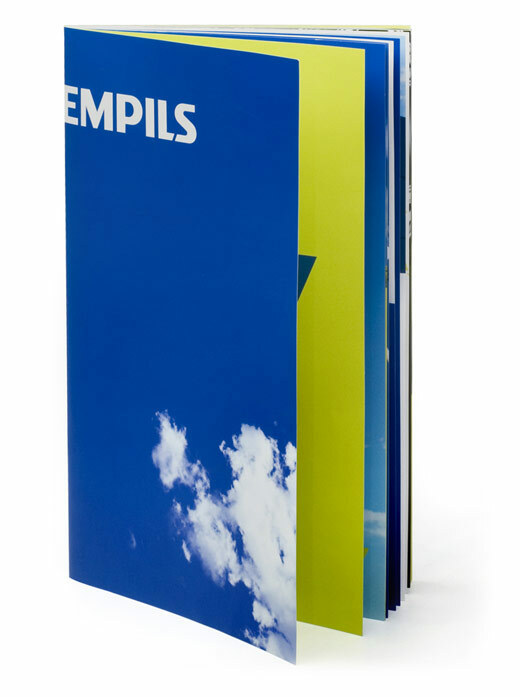 The booklet was designed in keeping with the company’s corporate identity developed by the studio in 2004. Lush, saturated and nearly luminous colors prevail. 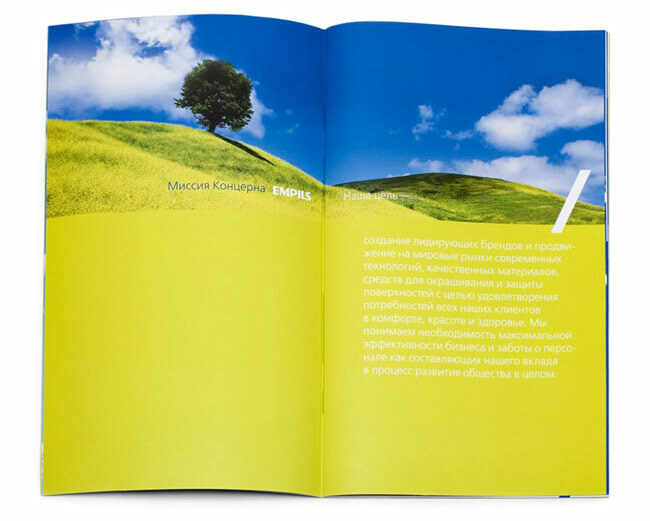 The deep blue and the white clouds of the Rostov sky under which Empils operates are the centerpiece of the design.